Can a robo dog fetch you a cold one? The new 3D Systems On Demand Manufacturing portal offers the fastest and easiest way to produce on demand parts, prototypes, and low-volume quick-turn production parts. Our new system offers free online quoting, complete material selection guide, and immediate access to every professional manufacturing process you will need. It was all champagne wishes and caviar dreams for Swedish company Kiruna Wagon at the awards presentation May 11 for the Swedish Steel Prize 2017. Sponsored by steel company SSAB, the international competition aims to share knowledge about how high-strength steel can be used to develop stronger, lighter, and more sustainable products. In recent years, a host of Hollywood blockbusters including “The Fast and the Furious 7” and “Jurassic World” have included aerial tracking shots provided by camera-carrying drone helicopters, requiring separate operators for the drones and the cameras, and careful planning to avoid collisions. Now, a team of researchers from MIT and ETH Zurich hopes to make drone cinematography more accessible, simple, and reliable. See what KHK USA has in stock for you today. Proto Labs' “Industrial 3D Printing for Dummies” book explains how additive manufacturing can accelerate and augment product development -- from prototype through production. Learn about new and existing technologies, available materials, and how 3D printing is being used for commercial applications in nearly every industry. Automated systems in a variety of different industries rely on servomotors to monitor linear and rotational motion. To close the loop, a strain gauge-based torque sensor is necessary to provide an accurate torque measurement. By mounting the sensor onto the gearbox housing, the servomotor can be commanded to generate the required torque. Learn about this engineering system setup. Exact Metrology, a leading supplier of 3D laser and CT scanning equipment and services, details the steps to a successful airfoil evaluation including the scan process, setup, scanning, validation, and modeling. The new Passive Components for the Internet of Things Design Kit (Part No. 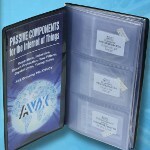 KIT-IOT) from AVX allows engineers to quickly identify effective solutions for IoT devices with widely varying requirements for power, data-processing speed, form factor, and price. The kit contains RF microwave components (capacitors, inductors, circuit protection, and SAW filters), input voltage filtering and decoupling devices, and high-precision crystal products to address a wide span of IoT applications including: wearable devices, smart-home applications, medical electronics, industrial automation tasks, connected cars, and traffic control. 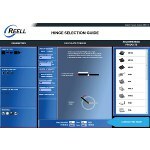 The newly launched “Hinge Selection Guide” online app from Reell Precision Manufacturing introduces a user-friendly resource to pinpoint ideal hinge and torque insert product solutions matching application requirements. This free tool opens an interactive window to designate an application’s parameters, calculate the torque and rotational angle required for the hinge or torque insert, and ultimately identify the Reell products best suited for the job. The tool also enables users to access Reell’s standard catalog products. 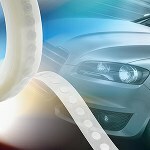 The 5-mm, low-profile AVS 110 adhesive vent from GORE is perfectly aligned with the need to further miniaturize automotive control units, sensors, actuators, and motors, and to better protect these high-value electronics from the rigors of under-hood and under-chassis environments. The vent’s 100% ePTFE all-membrane construction reliably protects against hazards such as splashes or immersions and automotive fluids. More reliable venting performance can reduce the need for heavier housings, seals, and gaskets. 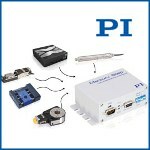 Precision positioning systems industry leader PI (Physik Instrumente) has released a higher performance model of its successful Mercury Stepper Motion controller. Stepper motors take up discrete positions in a revolution of a constant distance. Typical commercial models provide 200 to 1,000 full steps per revolution. Designed to deliver more than 2,000 times the basic motor resolution, the C-663.12 Mercury controller is the newest addition to PI’s suite of motion control solutions. The VCS20-020-CR-01-MC-F3K voice coil positioning stage can operate under closed-loop position control with force monitoring or closed-loop force control with position monitoring. 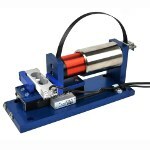 It uses H2W voice coil motor NCC20-18-020-1A to generate a continuous/peak force of 2 lb (8.9 N)/6 lb (26.7 N) with a total stroke length of 2 in. (50.8 mm). 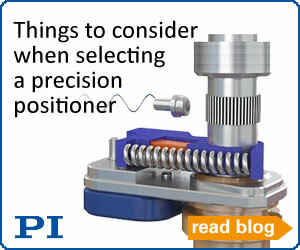 The 1-micron resolution encoder allows for precise positioning. The 3-kg rated force transducer allows for 0.01- to 3-kg of push/pull force feedback control. It comes supplied with a high-accuracy crossed roller bearing. The motor coil is the moving part of the assembly in order to reduce the moving mass of the system. Power is supplied to the motor via a high-flex, high-reliability flat ribbon cable. 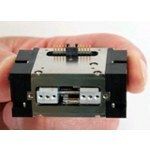 The MGR5 electric micro gripper from SMAC was designed for small, fragile part assembly. 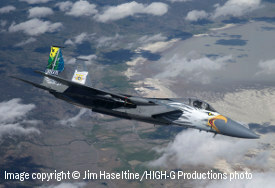 It features a light-force capability of 10 g or less and a soft-land capability for pick and place of delicate parts. Each jaw can be independently controlled in force, position, and velocity, with a 5-micron linear encoder standard (1 micron optional). Ideal for a wide range of positioning, measuring, and inspection applications, particularly where 100% verification is required. See this new gripper in action. Get more detailed info on this micro gripper. Can a robo dog fetch you a cold one? Impressive! If you haven't seen the all-electric SpotMini robot from Boston Dynamics yet, well, hold on to your hat. Or better yet, let this incredibly nimble droid (complete with extra arm) hold it for you. It runs, walks, scoots, and shimmies effortlessly and quietly for about 90 minutes on a single charge, depending on what it is doing. It has a variety of sensors, including depth cameras, a solid-state gyro, and proprioception sensors in the limbs, to help with navigation and mobile manipulation. SpotMini performs some tasks autonomously, but often uses a human for high-level guidance. We're sure you could train it to fetch from the fridge. Minimize emissions to ensure your design meets stringent regulatory standards.